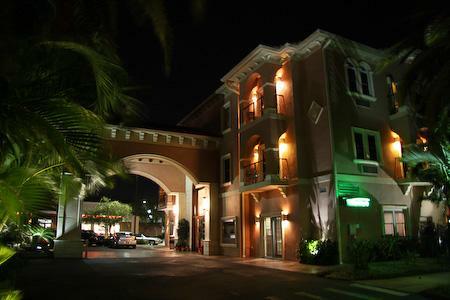 If you are coming to Tampa Bay and you are not sure of where to stay, I suggest looking into the Tahitian Inn Hotel, Cafe & Spa. Located off of Dale Mabry in Tampa&apos;s WestShore District, the Inn is a hidden jewel that even some residents do not know about. The historical boutique hotel is nestled in a tropical garden oasis, set back from the road just enough for you to forget you are in the middle of the Dale Mabry Business District. The Inn has a variety of guest rooms to choose from, from spacious cabana rooms, executive suites and even the completely furnished Bella Villa town homes that can be rented for families, multiple occupancies or extended stays. All guest rooms are equipped with microwaves, refrigerators and coffee makers, and are decorated in Tommy Bahama-style furnishings, adding to the tropical oasis atmosphere. If you are staying at the Tahitian Inn, you don&apos;t have to worry about where to eat. The Tahitian Cafe is open for breakfast, lunch and dinner, with breakfast served until 3 p.m. I unfortunately have not had the chance to have brunch at the Tahitian, but I&apos;ve heard that many famous athletes go there on a regular basis, so that certainly says something! The Tahitian Inn is in the perfect location, only 4 miles from Tampa International Airport, with tons of Tampa bars close by, prime shopping and sports arenas, including the Tampa Bay Buccaneers football stadium, Raymond James Stadium. The hotel offers guests complimentary airport shuttle (and transportation within a 5 mile radius), free high-speed wireless Internet access and 24-hour Health Club. The hotel&apos;s Serenity Spa offers facials, massages, body treatments, manicures, pedicures and more. The Torch is the Inn&apos;s poolside Tiki bar, which makes it easy to order your favorite cocktail without having to leave your lounge chair. And for people who hate traveling without their special friends, pets are welcome at the Inn! 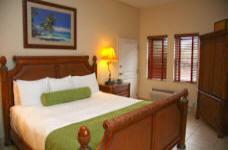 For more information on the Inn or to book your reservation, visit the hotel&apos;s Web site. As always, thanks for reading and keep checking back for more information on Tampa Bay meetings and hotels!